This quote has been floating around in my head a lot lately. 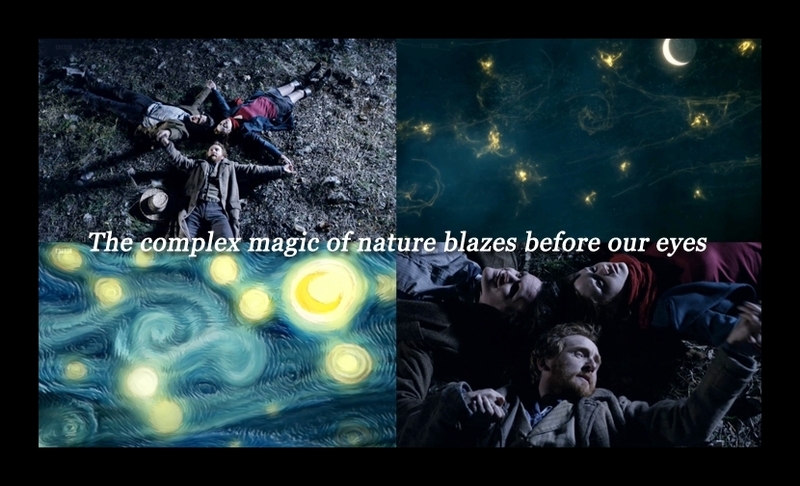 I cry every single time I watch this particular episode of Doctor Who, not only because of the Vincent Van Gogh storyline, but because of these very wise words The Doctor shares with Amy Pond. If you’ve never watched Doctor Who, allow me to describe the show in a nutshell – The Doctor is a Time Lord who can travel anywhere in time and space within his time machine, the Tardis, which so happens to be a blue police box that is “bigger on the inside”. The Doctor has had many “companions” on his journeys over the 50 plus years the show has been on air and he forges such beautiful relationships with each and every one of them. I’ve watched Doctor Who since I was a kid. 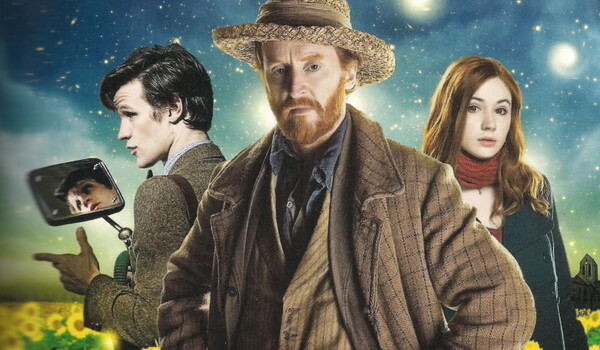 This particular episode finds the 11th Doctor, played by Matt Smith, taking his companion Amy Pond, played by Karen Gillan, back in time to meet Vincent Van Gogh, played by Tony Curran, after The Doctor sees something ominous in one of Van Gogh’s famous paintings. Van Gogh is one of my favorite artists, so this episode does hold a bit of sentimental value to me. I get giddy and tingly when I watch, even though I know it is just fiction. This show hits hard and depicts Vincent’s depression very well; you cannot help but to sympathize with him and his emotional plight. But as with all artists, Vincent holds within him such an appreciation of the world and all it’s beauty. One scene in particular is so amazing and always brings a smile to my face and tears to my eyes. The sky starts to transform into Van Gogh’s famous painting, Starry Night, as he speaks. Tears well up in my eyes just thinking of that magnificent scene. Pure and simple perfection, as if Van Gogh actually spoke those words himself. I suppose this episode really resonates with me because I can relate to Van Gogh’s depression, yet I can still see and appreciate the beauty and wonder of the world; it’s an artists mind, really. We always have to keep finding ways to transform and communicate our pain and emptiness to the world, whether through the written word, photographs or with artwork. I really start to cry when The Doctor and Amy take Vincent to 2010 to see his artwork hanging in a museum; he sees that all of his work was not in vain and he is not only famous, but beloved to the world all those years later. Van Gogh is immortal – he lives on through his art. Think about that for a moment now and let it sink into your core. Take these words with you as you go out into the world today and see how inspiring and transforming they can be. This is one of the many reasons why I love Doctor Who. “We always have to keep finding ways to transform and communicate our pain and emptiness to the world, whether through the written word, photographs or with artwork.” – Very insightful, Laura… and very true! 🙂 By communicating our own angst out into the world, it may touch the heart of another lost soul. If you’ve been watching the show long enough to pick up the jargon, you have in mind, throughout this episode, that some events in Doctor Who are “wibbly wobbly timey wimey,” while others are “fixed points” that cannot be changed and horrible things will happen if you try. Is Vincent’s death wibbly wobbly or a fixed point? And then you find out and wham goes your heart into your shoes. Damn it. Damn it damn it damn it.